If mulling through texts makes you consider blasting some lead through your own skull, then we’ve got the household accessory for you. 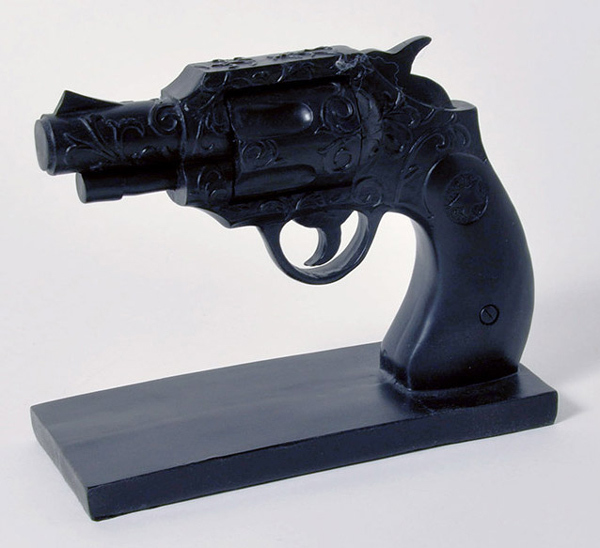 Designed by artist Michael Revil Madjus, each of these black resin revolvers measures 5.75″ x 7.6″ x 3″ and will add a touch of saloon shoot-out to your otherwise cerebral library. Hold up your Hemingway with a little Eastwood for $39 each.